I have had my Droid Bionic phone for a while now. There are a group of apps that I really enjoy, but there was something that was missing. I wanted a photo editing app that would allow me to fix color and do a little more. I stumbled upon PicsArt and decided to give it a try. I have to say that I am pleasantly surprised and I have barely scratched the surface with what I could probably do. While we were at Walt Disney World in April, I blogged from my phone. I had a watermarking app, but nothing to “fix” photos and make them more mine. With PicsArt I can add fun effects, make a collage, draw, edit a photo, and so much more. This was my first attempt several weeks ago at fixing up a blurry, washed out nighttime photo. It still isn’t perfect to my standards, but for a first attempt and without a more sophisticated editing tool on my computer – it works well. Next, I wanted to try some of the fun effects. I tried the PopArt and thought it was fun. I liked it (on the left below this), but decided to tweak it a little bit more and came up with another variation (on the right). Thanks to the grid dimensions, the collages work well to put right into Instagram when you are finished. For Halloween, I was able to make a fun pumpkin and share it there. Here’s another example of something I made for Instagram to show a project that I am currently knitting. I love that I can just do most things right in the one screen. Do you like to edit photos on your computer and/or phone. What do you use and why do you like it? On my computer, I use PhotoScape and PicMonkey in case you were curious. FYI – Do not forget to enter my current giveaway for Marlow and the Monster (ends 11/14). It is a great book for kids that would make a great holiday gift. I used Picnik until they closed, now I use PicMonkey. I’ve never heard of PhotoScape, will have to check them out. I too used Picnik and now PicMonkey. I love that and it works for me well. I don’t really do much photo editing, it’s just something I don’t know alot about. I do have PicsArt on my Android phone and use it occasionally. And I rarely edit my photos. I like them live. But I sometimes love to see a photo that is edited well. I’m not really into the photo thing. For the most part, I just crop and lighten. 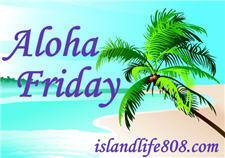 Menopausal New Mom´s last blog post ..Aloha Friday – Panic Edition! I like using my computer. I’m a Fireworks person. Harriet´s last blog post ..Boys are way cheaper. Cathi´s last blog post ..Disney’s “Wreck-It Ralph” opens in theaters today! I used to edit on my computer with Photoshop but since I dont have that anymore I dont edit. I use picmonkey too! What watermarking tool do you use on your phone – I really don’t edit photos too much from there, but I should start. I use picmonkey. I havent really tried editing on my phone yet.